The Bargello Sculpture Museum (Museo Nazionale di Bargello) contains sculptures by artists that include Dontello and Michelangelo. Located in the heart of Florence Italy (Firenze) in the Duomo district, the Bargello looks more like a fortress than an art gallery. 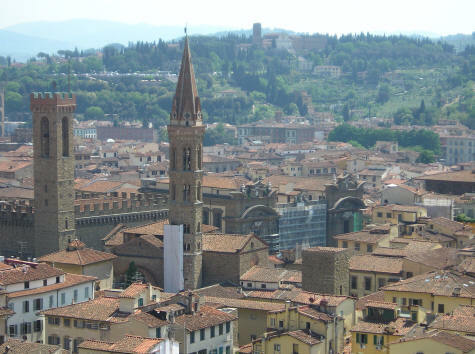 The bell tower that can be seen near the Bargello is the Benedictine Abbey (Badia Florentina).